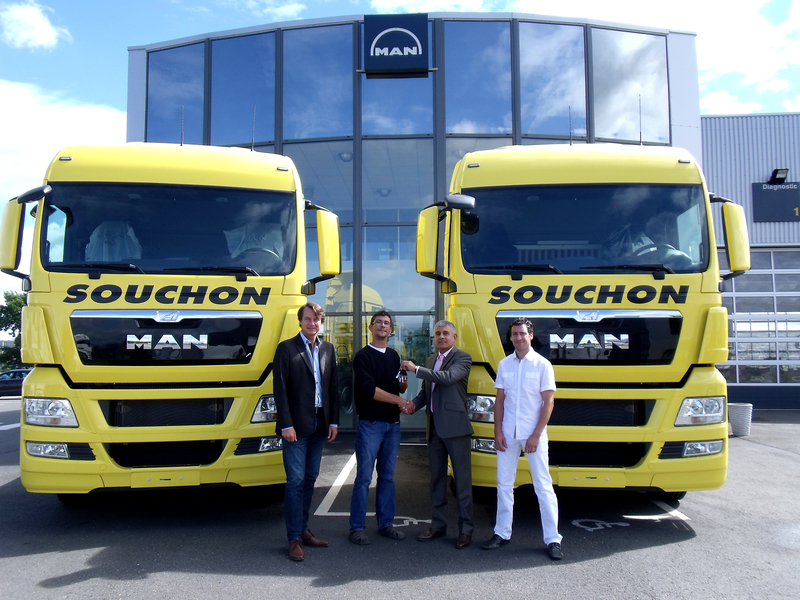 French haulier Souchon Services focuses on reducing the total cost of ownership and for this reason has acquired a further 44 MAN trucks for long-haul transport and distribution. With optimised aerodynamics, an air-compressor that runs on demand, tyres with low rolling resistance and driver training, the vehicles save, the MAN TGX EfficientLine with 480-hp engine and TGS 320-hp save up to three litres of diesel per hundred kilometres. "The MAN TGX and TGS are ideally suited to our company because they are innovative and extremely reliable. For us, they are a guarantee of low consumption and they improve the energy balance of our vehicle fleet overall. Not only that, but the TGS and TGX are also smooth running and equipped with an ergonomic cockpit providing good visibility, important aspects of the workplace for our drivers," summarises CEO Laurent Souchon. All the drivers are trained by MAN ProfiDrive in how to drive economically. "This ensures that the drivers are in complete control of the vehicles and save up to 12% on fuel. Better-trained, committed drivers are an important competitive advantage," explains Dominique Zerbib, Head of Truck Sales South France at MAN Camions & Bus SAS. The MAN ProfiDrive training course is a part of the EfficientLine service package. Adds Souchon: "Another decisive factor in our cooperation over many years has been the presence of the MAN Sales Organisation in France and its quick reactions when contacted."